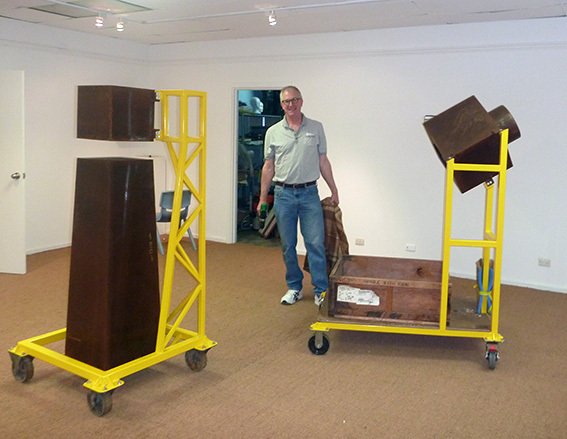 An installation shot of Rick Clise setting up his two sculptures for our exhibition Two Septics which is 2011 SALA festival. This year I’m showing with a fellow American artist, at Scammell’s auction house. For me this choice of location of this exhibition is especially relevant, since in my work I am reusing discarded materials, and showing an auction house, that is reselling items. I just got an email reminding me that Bowerbird Bazaar is on this weekend. It is this great bazaar that showcases local and interstate designer, craftspeople, and artist. I always see something, and sometimes too many things. The last thing I should be doing at the moment is more shopping, since I just got back from doing too much shopping in Melbourne. This time I'll just have some restraint and just have a look around. Sounds like a good excuse to just try a local beer, the Brew Boys will be there and they make some tasty brews, while I look. Queen's Theatre, Playhouse Lane, Adelaide. As a photographer by training and someone who loves to find new uses from old items, I was very interested to learn about Re:vision. 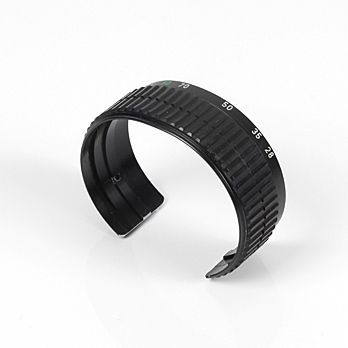 South Australian artist, Craig Arnold, has been making cuffs from discarded camera parts. Some of his work is currently on display at the Adelaide Town Hall until June 12th, 2011. In the past I have always used dreamweaver to design my websites, but I thought it might be easier to update using wordpress. So over the past couple of weeks I have taught myself to use wordpress and a little bit about HTML. I have just finished redesigning and updating my website. Check out images of my new work, old work, and read about my artist rational behind each project. A 2010 digital remastered version of the historic 1927 film Metropolis is screening this Sat. March 5th with a live score from the local group The New Pollutants as part of the Adelaide Film Festival. This will be screening of the most complete film to date with an extra 25 minutes of footage found in Argentinean in 2008. Should be amazing. An assortment of ideas, artworks, links, and other babblings from my life as an artist. 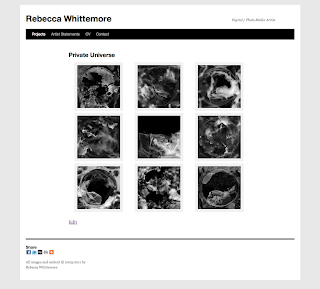 All Images and content copyrighted by Rebecca Whittemore. Simple theme. Powered by Blogger.